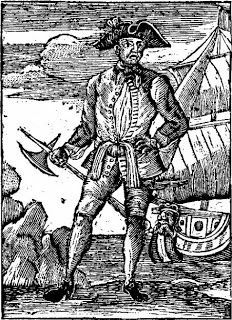 Late July 1718: Edward Thache sails for St. Thomas on his Spanish sloop, Adventure [II], to seek a commission as a privateer. 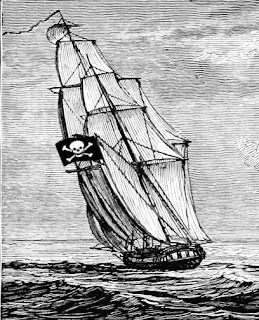 But the lure of piracy is too great for Blackbeard and he returns to his old ways after stopping first in Philadelphia to sell some of his loot. Soon Thache and his crew sail into the Atlantic after hearing of the warrant for his arrest. http://nautilusproductions.com/projects/queen-annes-revenge.